You are in Online Equity Builders > Blog > Infographics > Is Your Local Business Invisible Online? Discover Local Buzz! Is Your Local Business Invisible Online? Discover Local Buzz! More and more consumers are using the Internet to search for products and services in their area. Sadly, local businesses are struggling to keep up with the trend. They are finding it more and more difficult to stay visible to potential customers online. Many local business owners are aware that nearly 8 in 10 consumers use the Internet to look for products and services online. Google, of course, is the leading search engine of choice. That’s why business owners spend majority of the budget on having a website and optimizing it for search results. What many owners are realizing now is that they should optimize their online presence based on location too, not just on products and services they offer. That’s what local buzz is all about. Local search happens when prospects type in geographic keywords in their search queries (i.e. “best wedding gowns san francisco” or “website design in chicago). Some 54% of searchers include a local modifier (city, zip code) in their search nowadays. Much of the popularity of local search can be correlated to the growth of mobile device ownership and usage. Some 74% of smartphone owners get real-time location-based information through their phone, as of February 2012, up from 55% in May 2011, comScore said. 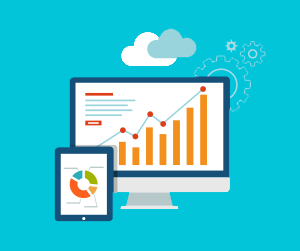 Local searchers therefore aren’t just typing queries on Google using their mobile devices; they are looking to buy! Now this is what matters: is your local business “buzzing” on local listings and consumer feedback? Or is it invisible when prospects search online? 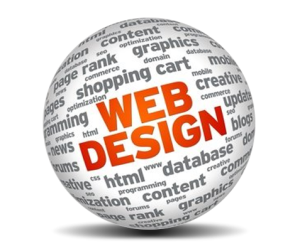 Typically, business owners hire a designer to create a website and then employ an agency to optimize that site. There is nothing wrong with this approach. In fact, these two things should be first in your priority. They ensure your business is present online. 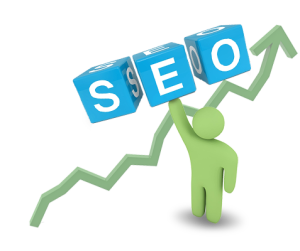 But your local business needs more than just exposure on general search results. It needs to be visible in various local listings and entice prospects to visit your shop and avail of your products and services. That’s where local buzz comes in. Unlike typical and traditional search optimization, “local buzz” focuses on your business’s local online presence. This is done by combining traditional SEO with the optimization of genuine consumer reviews, check-ins, maps, and local listings. This also means that aside from your own web pages, search results from Google maps, Foursquare, independent reviews sites, and local listings will come up when prospects search online. 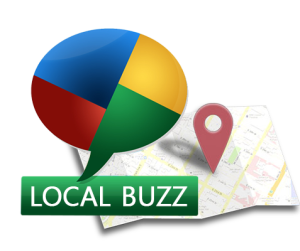 Local buzz aims to make your local business visible and appealing to local searchers. Various studies have shown that local listings, maps, reviews, and check-ins not only dominate local search results, they also influence a user’s purchase decision. For example, a BrightLocal study found that the effect of online reviews of consumers is also stronger this year, compared to last year. Aside from reviews, geo-social or check-ins websites and apps should be part of the strategy. Foursquare alone has 40 million users and has logged 3.54 billion online check-ins so far. You may use check-in promotions to entice prospects to visit your local store or shop. Rewarding them after a number of check-ins is one type of promotion. Maps and listings also matter. For instance, 35% of mobile phone users who search for local businesses via apps use Google Maps, according to comScore. Meanwhile, 76% of searches using Internet yellow pages resulted in either a purchase or intent to purchase, says the Local Search Association. The message these statistics bring is clear: you need to dominate local listings with location-based services to ensure prospects find you, and that they find you worth dealing with. Your local business needs local buzz. Call us now or send us a message to schedule your free consultation on Local Buzz.